An X-ray does not signal the need for knee replacement. Frequently, an X-ray is one of the first tests chosen for joint pain because it is simple, painless and can be readily obtained in a physician’s office. There are literally hundreds of diagnoses that can cause knee pain. To sort through this considerable list of possible diagnoses, the surgeon has at his disposable dozens of tests that can be considered. In the course of your discussion with the surgeon, he will have considered when your pain started; what has been done to treat this pain; what other medical problems you have (such as hypertension, diabetes, kidney disease); and what level of activity you expect from your knee. Then he will consider your X-ray picture, which may very well show advanced arthritis of the joint. This X-ray should in no way be the sentinel signal to the surgeon that surgery is needed right now, or even ever. 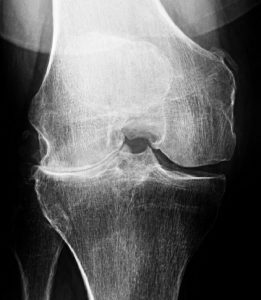 Again, an X-ray does not signal the need for knee replacement, it is merely a tool, and should be used as only one data point among many to consider to direct treatment. If the X-ray shows bone-on-bone wear, your knee has been wearing down for over 10 years and has probably been bone-on-bone for the past five. It makes no sense to tell a patient who has been bone-on-bone for many years, but just now presents with recent onset pain, that they need immediate joint replacement surgery. Again, the X-ray is merely a tool to establish a diagnosis – in this case arthritis. 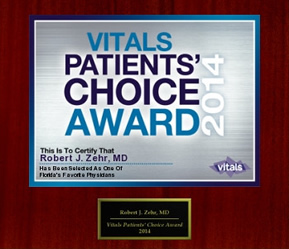 At the Zehr Center for Orthopaedics, we start at the beginning with medication, injections and exercise. We encourage weight loss, because in the vast number of cases, this works to diminish pain and maintain function. Best of all, you keep your own joint for the time being. It should be obvious, but if not – your own joint is much better than any artificial joint currently on the market so it makes sense to get as many years of function out of it that you can. Arthritis is a chronic condition that takes many years and even decades to evolve to its final stages. It may not even cause pain until it is very far advanced – bone-on-bone for instance. Even in that setting, it is perfectly reasonable to expect relief of the pain by utilizing many of the non-surgical steps that we just spoke of. If you have been advised to have joint replacement surgery based solely upon an X-ray that was take – even if it shows bone-on-bone arthritis – and no other treatment has been tried, a little warning bell should go off in your mind. You should get another opinion by an experienced, well-known surgeon in the field. Arthritis is not lethal so you have time to seek other professional advice. We have had patients literally walk into the office with their overnight bags packed, ready to go to the hospital for surgery, when they came in for a second opinion, only to find out that there were still several other treatments to try before considering a surgical procedure. Their puzzled stares quickly turned into joy at the prospect of avoiding surgery, keeping their own joint and leaving with the knowledge that they control their own destiny as it pertains to their joint. 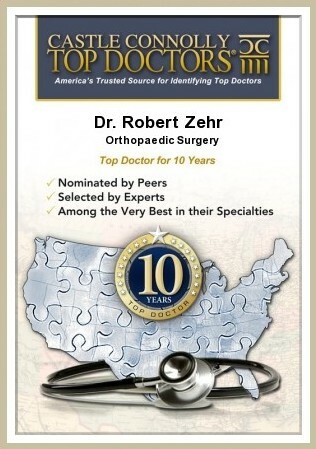 Zehr Center for Orthopaedics is the premier provider of knee replacement surgery in Ft. Myers and Naples. For a second opinion about total knee replacement in Naples and Ft. Myers, call us at 239-596-0100. My left knee the cartridge is good on the out side but thin on the inside. I just have a little spot of maybe bone on bone.with pain. The knee fills strong but that little spot is painful. Shot don’t work for long. Is there anything they can do to make the pain spot healthy again. Stem cells has turn me down. Is afull knee better than a 1/2th knee replacement. I’ll be 73 in November. Leg is bowed in where the cartridge is thin.